With former President Luiz Inacio Lula da Silva barred from running by electoral authorities following a corruption conviction, far-right congressman Bolsonaro leads the polls. The former army captain has tapped into deep unease in Brazil, which is reeling from a sweeping corruption scandal and is struggling to grow again after a protracted recession. 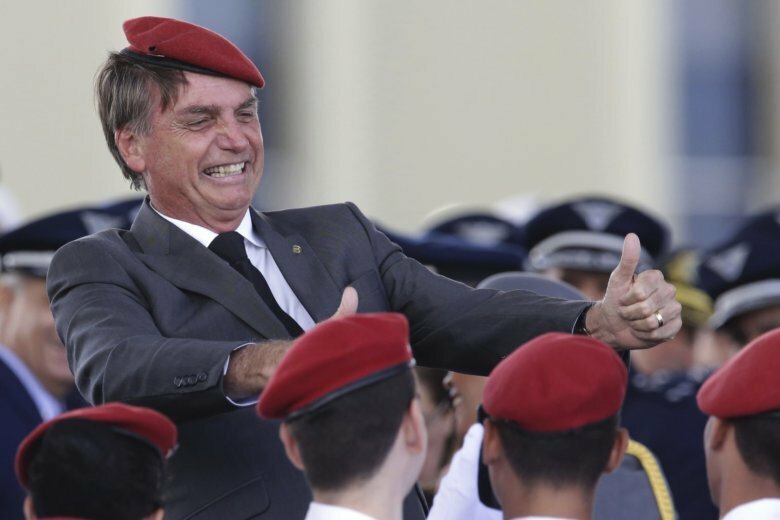 Bolsonaro has expressed nostalgia for the 1964-1985 military dictatorship, has been repeatedly fined for offensive comments and has made cracking down on crime a centerpiece of his campaign. But his proposals and his fiery rhetoric have often repulsed as many Brazilians as they have attracted. He has seen support growing in the polls despite little television advertising and being hospitalized for weeks after a stabbing. Bolsonaro was discharged from the hospital on Sept. 29. The former Sao Paulo mayor surged into second place after being named last month to replace da Silva as the candidate of the left-leaning Worker’s Party. Haddad was a political science professor and education minister as well as mayor. He wasn’t prominent nationally until the election and was unpopular enough in Sao Paulo that he lost in the first round when he ran for re-election in 2016 — an unusually decisive defeat for an incumbent. He has depended heavily on da Silva’s endorsement and polls indicate he’s neck and neck with Bolsonaro in a likely runoff. The left-leaning Gomes has roots in da Silva’s stronghold of the northeast and brings extensive experience, having served as governor, mayor, cabinet minister and federal congressman. Yet he also appeals to voters who are disgusted with dirty dealings so common in Brazilian politics, touting the fact that has remained clean, despite decades in public service. Still, Gomes has a reputation for being prickly and making controversial statements and he’s struggled to rally the left behind him and has in low double-digits in recent polls. A three-time governor of Sao Paulo, Brazil’s largest and richest state, Alckmin has a lot of executive experience. The right-leaning candidate supports market-friendly economic policies, like scaling back the country’s faltering social security system, making him the darling of investors. But Alckmin lacks charisma, and he has struggled to peel off votes from Bolsonaro, despite devoting much of his extensive free television ad time to attacks on the congressman. Polls show him with single-digit support. Silva, who once served as da Silva’s environment minister, has a dramatic personal story: She suffered numerous illnesses and often went hungry as a child. She didn’t learn to read and write until her teens. Silva nearly upended the last presidential race when her party’s candidate died during the campaign and she took his place: She initially surged in polls, tapping into voter discontent and attracting Brazilians on both the left and right. Back she has struggled to define herself, beyond her focus on environmental issues, and her poll numbers have been sliding in recent weeks.